Unesco, the United Nations Educational Scientific and Cultural Organization, was established after the Second World War along with a range of agencies concerned with world development. From the beginning Unesco gave high priority to literacy programmes. Early literacy programmes were based on the assumption of a strong, causative link between literacy and social development. It was claimed that literacy, via the attitudes and cognitive skills that it fosters in individuals, promotes economic development and prosperity in society in general. Literacy became an essential first step in the attempt to develop ‘underdeveloped’ countries. The aim was to eliminate poverty, disease and so-called ‘traditional but unproductive’ forms of social organization. As a result philosophy, literacy education has been one of the main planks of Unesco’s modernization policies since the 1950s. The idea of a causal link between literacy and development has gone as far as quoting a figure, a 40 per cent literacy rate, as being the level of literacy needed in a society for economic take-off … . Of course there has always been some criticism of this, but the idea of literacy being an essential catalyst for development has been underlying most literacy programmes throughout the period. In practice, the notion of functional literacy in international campaigns has usually been closely tied to employment and has been related to economic development. Literacy has been treated as a variable, which is measurable and then related to other variables of development, such as economic development and modernity. The idea has been that resources are put into literacy and this then aids development. It has been seen as something external which is brought into a society. Unfortunately, in both developing countries and in industrialized countries functional literacy is associated with imposed literacy, imposing literacy on others, rather than starting from people’s own perceptions of their needs. Lastly, it is important to realize that early literacy programmes based on this approach were not in fact very successful, even in their own terms: Unesco evaluated its own programmes and found them lacking. 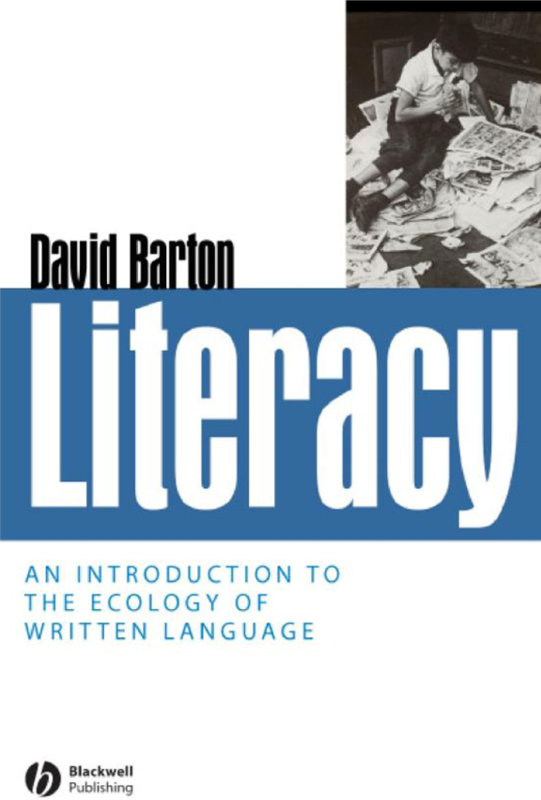 The evaluation of the Experimental World Literacy Programme of the 1960s, for example, is an indictment of functional literacy programmes, and the criticisms are made more powerful by the fact that they were made by an organization critiquing its own activities (Unesco, 1976). Since the Unesco programmes of the 1960s, there have been further programmes and further meetings and declarations. One significant international conference was held at Jomtien, Thailand, as part of activities for International Literacy Year in 1990. The participants of the Jomtien conference openly acknowledged the failure of the 1980s in terms of literacy work throughout the world and called for a decade of action up to the year 2000 to reverse this trend. A range of new initiatives and programmes on literacy in developing countries emerged. Many of these aimed to relate literacy and numeracy teaching closely to people’s lives, livelihoods and local situations, resonating with a social view of literacy. More recently, Unesco is the lead agency in the United Nations literacy decade which runs until 2012. There has been renewed focus on literacy as key to the Education for All (EFA) goals and an emphasis on adults. At the time of writing, the fourth global monitoring report on Education for All (Unesco, 2005) attempts to bring together functional approaches with attention to people’s literacy practices and the changing social context. Some other initiatives are more politically oriented and seek to respond more to local people’s concerns. The nongovernmental organization ActionAid developed a new, Freirean approach to teaching reading and writing to adults. REFLECT (Regenerated Freirean Literacy Through Empowering Community Techniques) aims to integrate literacy and numeracy teaching with broader efforts to stimulate development locally, and to address communities’ social and political concerns. Rather than having a pre-defined curriculum, the starting point for learning is the analysis of learners’ lives and concerns, and then developing materials with learners. It is now used in more than 50 countries. The US nongovernmental organization World Education is supporting projects in Africa and Asia which promote an integrated approach to literacy and numeracy development. This gulf between rhetoric and reality – to use a phrase common in adult education – is still there today. Books are still being published which talk about overcoming ‘the scourge of illiteracy’ and such phrases are still common. In my view, in such statements international bodies are trying to incorporate new approaches while still keeping hold of a rigid functional approach. This is one of several areas in the study of literacy where I see attempts to fit new ideas into the creaking framework of outworn theories which cannot take the strain. Unesco and other international agencies still need to reassess the ideas and theories underlying their aims and methods. It is apparent that there are still several philosophies alongside each other in the literacy and development field. There are different analyses of the literacy situation and different practical proposals for change. There is the gulf between the liberal aims of emancipation and the practical programmes which are funded. The idea of conflicting definitions of literacy underlying the various approaches helps us see more clearly what is going on. From the grassroots there is often clear and articulate understanding of the issues; what gets carried out by governments and international agencies is still often centralized functional literacy programmes, imposed and often not particularly effective … .